Sight and sound are two of your strongest senses, and they can help you avoid a collision. There's an even greater likelihood that you'll avoid backing into something if you have the right equipment on your vehicle. 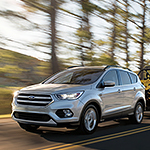 The Ford Escape is a popular compact SUV that helps you use your two best senses to protect yourself, your vehicle, and pedestrians. If your vehicle is totaled in an accident and you still owe on your loan, but your insurance only pays you the current value minus your deductible, you still have an outstanding balance. That is where GAP insurance comes in. Drivers in Sylva who are a bit wary about operating a larger vehicle should take a look at the new Ford Transit Connect. This popular cargo van and passenger wagon is engineered to keep you safe and stable on the road. Models at Andy Shaw Ford have a Side-Wind Stabilization system as well as Roll Stability Control. 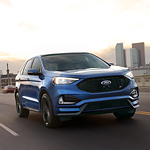 Ford has been developing great vehicles since the early 1900s and over the decades has engineered numerous cars, SUVs, trucks, and commercial vehicles. Here is a throwback to some of the great classic Ford vehicles! 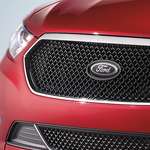 The Ford Edge ST is one of the top midsize SUVs in its class. Known for its performance rating and comfort, the Edge ST has come a long way since the early days. Ford has quickly become an automaker synonymous with efficient power. The Ford Edge ST is no exception. If you want to upgrade from the non-ST trims, you’ll be pleasantly surprised to find that this SUV can really pick up and go on the road. That’s due to the twin-turbocharged V6 engines. Do you need a strong truck that can handle your work and excursion needs? If so, look no further than the Ford Ranger. The new model's attractive exterior hides its sturdy features. See what makes the Ranger one of the toughest vehicles on the market. 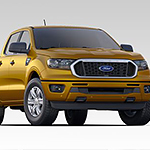 The 2019 Ford Ranger returns to a deserving spotlight here at Andy Shaw Ford, making its official showroom floor debut to the excitement of midsize pickup truck enthusiasts everywhere. With class-leading engine production, best-in-class towing and hauling capabilities, and Built Ford Tough design innovations that hold up tremendously well off-road, there's a lot to unpack when it comes to the complete redesign.